Skye Gravestones | Anne (Macdonald) & Donald Macleod, s. Norman. Anne (Macdonald) & Donald Macleod, s. Norman. 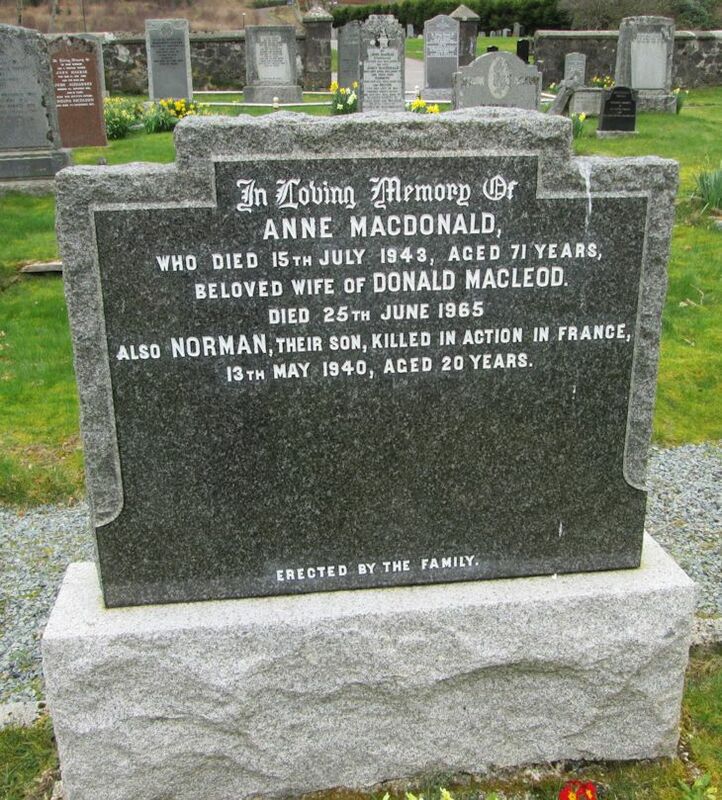 In loving memory of/ANNE MACDONALD/who died 15th July 1943, aged 71 years/beloved wife of DONALD MACLEOD/died 25th June 1965/also NORMAN, their son, killed in action in France/13th May 1940, aged 20 years. Picture Added on 03 April 2018.